Since focussing on adventure treks, Piran Pets have been rewarded by seeing so many happy dogs. Dogs playing with each other on the beaches, in the woods and across the sand dunes. The fast paced walks use up energy and provide them with much needed exercise. They also offer lots of different stimulation. 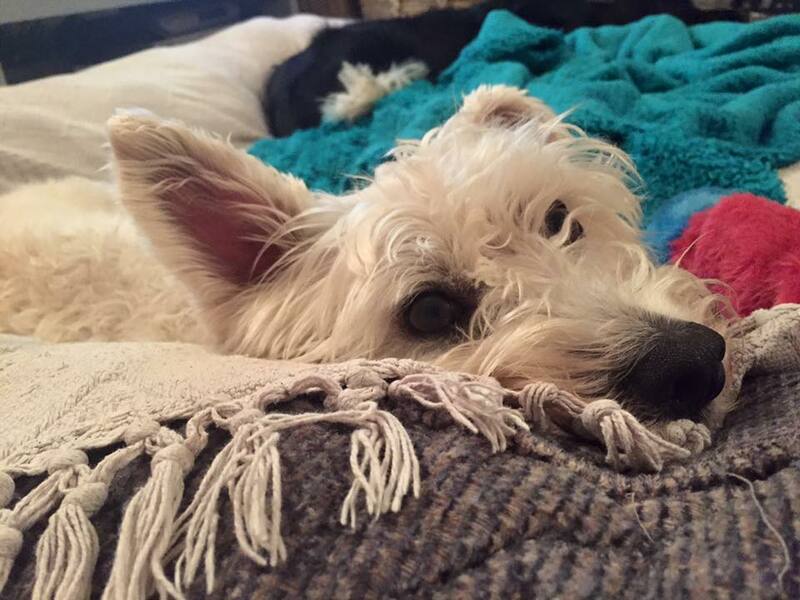 Your dogs are stimulated by their changing surroundings, by the different smells, by water and by sand. They are stimulated by each other. Most of the Piran Pets Adventure dogs know each other so they have already bonded and developed a group dynamic. In addition to all of this they are also stimulated by the many other different dogs and humans we meet on our exciting adventures. 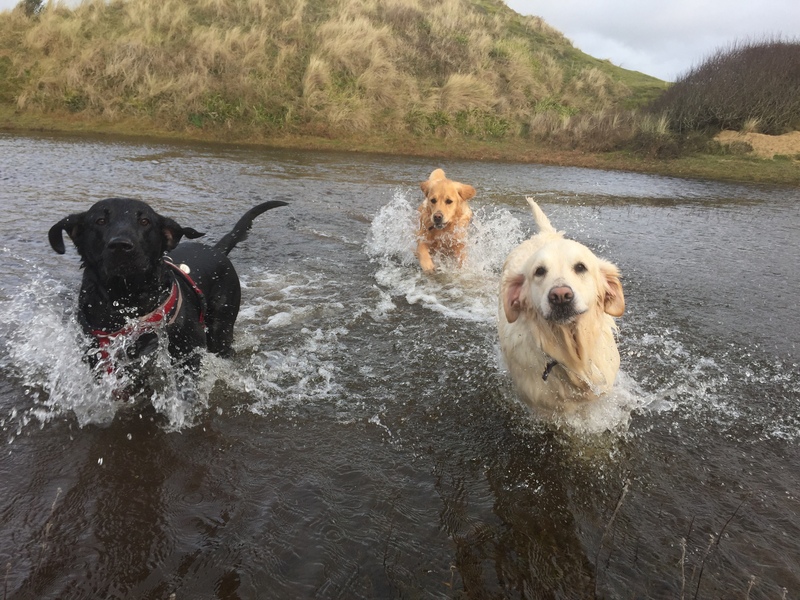 The Wednesday Retriever Romp has proved very popular, providing an hour and a half of exciting fun for this water loving breed. 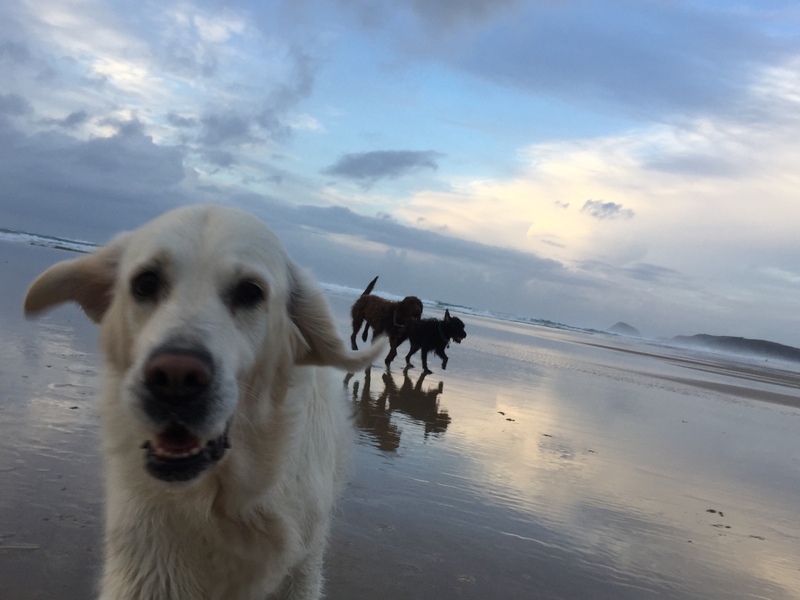 We have been enjoying the empty beaches – one of the positive outcomes of bad weather The dogs just love bouncing all over each other, splashing through the waves and chasing each other across the dunes. 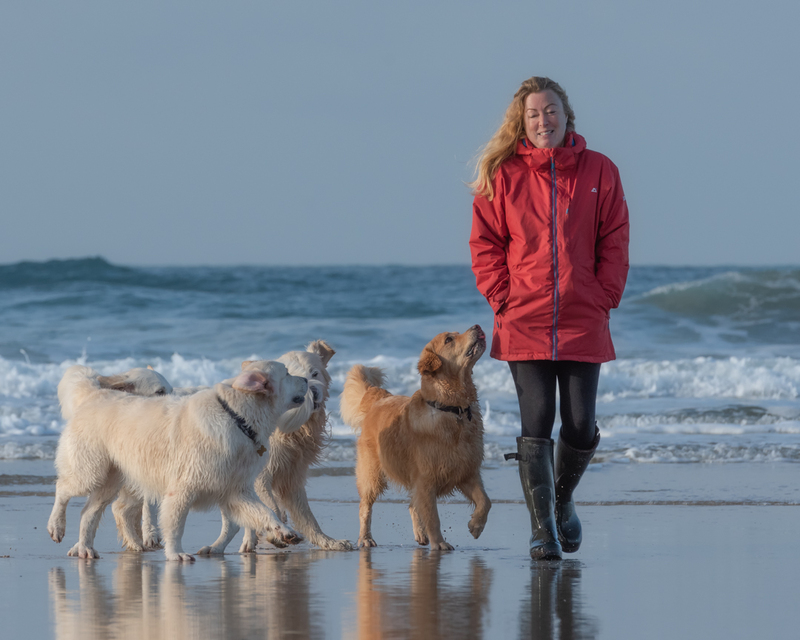 I especially love to run down some of the steeper dunes at Holywell Bay, with 6 retrievers in tow and lots of barking and happy wagging tails! On Fridays, the Big Dog Adventure Treks have also been very well attended. We have been enjoying a few Friday afternoons going off piste at Idless. As soon as paws hit the bouncy woodland floor the dogs are so energised, they chase each other, chase smells and enjoy a cleansing dip and cool down after so much adventure. The smaller dogs can’t always walk so far so I always tailor their walks to suit smaller paws – but they still have lots of fun and adventures, but with dogs of their own size who won’t flatten them in play or knock them over! 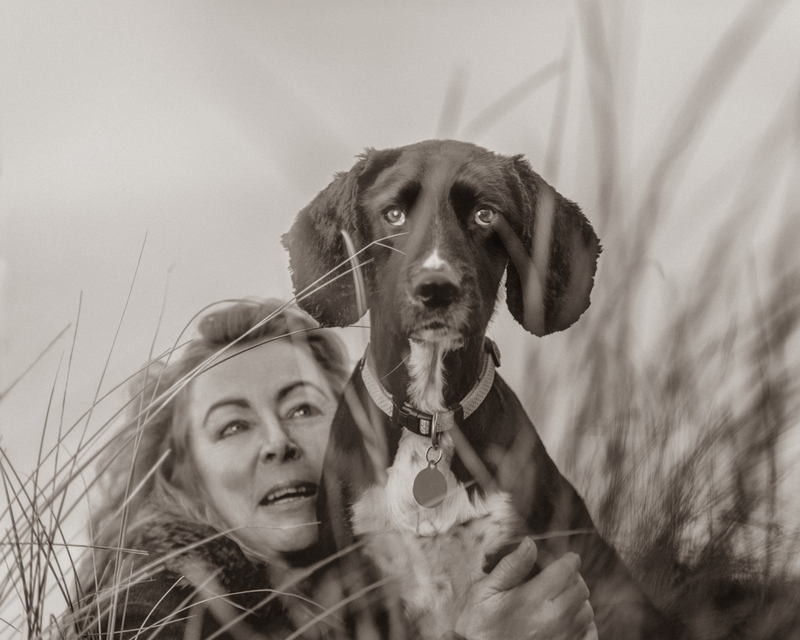 Whether big or small, your dog will love Piran Pets Adventure Treks! Let your dog’s adventure start here.